Imagine walking through beautiful gardens and across meticulously maintained grounds, entering a building designed by a leading architect of the 19th century, being surrounded by expertly curated interiors highlighting the finest decorative arts of the period - and finally, as the culmination of the experience, hearing exquisite music that was created for this space. Would you like to experience Music of the Gilded Age at an historic Hudson Valley mansion? A documentary will be made of each live performance at a historic mansion, including insightful interviews and a tour of the house and grounds. Please consider making a donation that will offset the production costs of a documentary video for each event, and support the research needed to craft a unique program for each mansion. With well over ten historic mansions open to the public in the Hudson Valley, and many private estates, your donation will make it possible to have numerous events and documentaries! To be part of making MUSIC OF THE GILDED AGE IN THE HUDSON VALLEY possible, consider a tax deductible donation of any amount through the secure online form HERE, or by mailing a check to the DCC Foundation, 53 Pendell Road, Poughkeepsie, NY 12601. Please note "Music of the Gilded Age" on your check memo and include your email. For information about upcoming events look at the CALENDAR or contact Dr. Christopher Brellochs by email: christopher.brelloc@sunydutchess.edu. 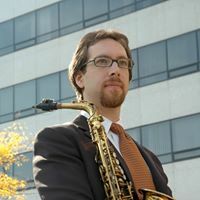 For my sabbatical, I have been given one year off from Dutchess Community College (DCC) to research Music of the Gilded Age, create partnerships with historic estates in the Hudson Valley, and to present unique music programs that will contribute to the arts and culture of the area and raise awareness of this region's unique historic and cultural value. Excerpts of each documentary will be offered to the historic estate and county tourism sites to promote arts in the Hudson Valley. I will also nurture an ongoing relationship with program directors so that collaboration can continue after the sabbatical to include performance opportunities for DCC music students in the community.